London scientists have made a breakthrough fighting the scourge of multiple sclerosis, fine-tuning MRIs to detect the disease before it ravages its victims. “This could be a real game-changer,” said Dr. Bruce Bebo, who this year will decide how to invest $50 million in research raised by the National MS Society in the United States. 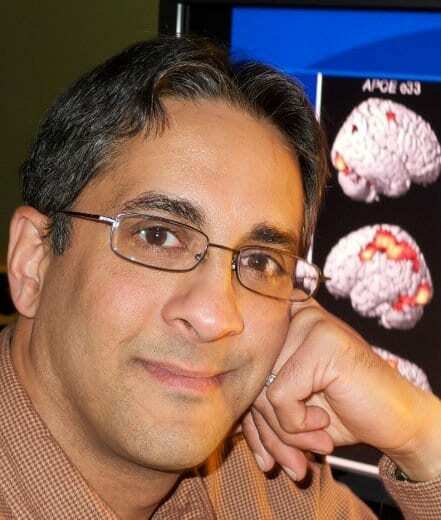 Bebo marvelled Thursday from afar at the work of a London research team headed by Dr. Ravi Menon that’s aimed at what has been an elusive target — finding and treating MS before it causes physical and cognitive ­impairment. The challenge is especially pressing in Canada, where MS rates are the highest in the world — nine times higher than the world average. Neurologists have long used MRIs to diagnose MS by showing damage to the protective sheath that insulates the body’s central nervous system. Now, London researchers have fine-tuned a high-powered MRI to actually measure the amount of damage to that protective sheath —called myelin — as well as the deposits of iron typically found with the disease. The team from Western ­University perfected the scans first on rats in a study published this month in the journal Proceedings of the National Academy of Sciences. “It’s a huge step (forward),” Menon told The Free Press. long before patients are ­traditionally diagnosed, potentially before they had suffered any ill effects. “It’s really the holy grail, being able to track myelin,” Bebo said. Though it’s not practical or affordable to screen everyone for MS using an MRI, research is underway to identify those most at risk from the disease. Some day, that work might lead to simpler tests such as a blood test to find those more at-risk who could then be scanned before the onset of symptoms, Bebo said. In the meantime, more precise MRIs may help people already being treated for the disease with conventional drugs that suppress their immune system — it’s the immune system that attacks the myelin. That treatment is by trial and error: If patients continue to deteriorate, doctors switch medications. Menon’s MRIs might help doctors switch away from failing medications before the damage occurs, Bebo said. New research is aimed at reversing the damage to myelin, a task that may deliver even greater benefit if MS is discovered early, he said. Synthetic molecule shows promise as multiple sclerosis treatment New AtlasIn multiple sclerosis, the body's immune system attacks and damages myelin, which is the insulating layer on nerves in the spinal cord, brain and optic nerve. The DMT Decision for MS: Tried and True or Shiny and New? Multiple Sclerosis News TodayColumnist Jennifer Powell was thrilled when new disease-modifying therapies recently were released, but her doctor suggested staying on an old DMT. Need to Know: Do I Need Contrast Dye for an MRI? Multiple Sclerosis News TodayContinuing her "Need to Know" series, columnist Tamara Sellman examines whether contrast dyes like gadolinium need to be used in MRIs. Press Announcements FDA.govFDA approves Mayzent (cladribine), a new oral drug to treat multiple sclerosis.